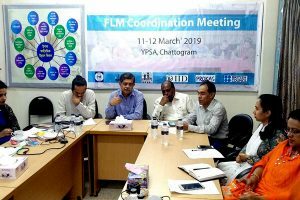 A Coordination Meeting among the PROKAS (Promoting Knowledge for Accountable System) and Fairer Labour Migration (FLM) partners was accomplished on 11-12 March 2019 which was organized by YPSA at Chattogram. 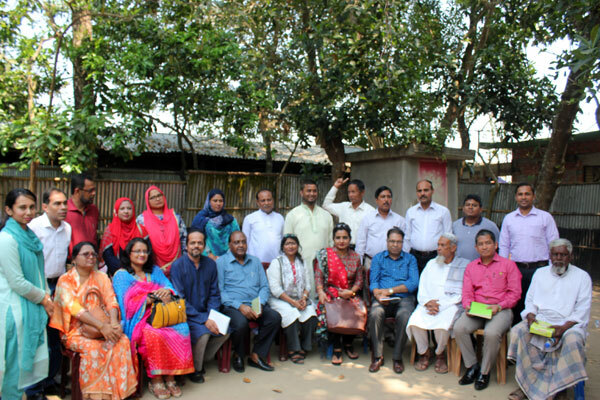 Total 16 representatives of four different organizations (FLM partners) including PROKAS participated in this meeting. 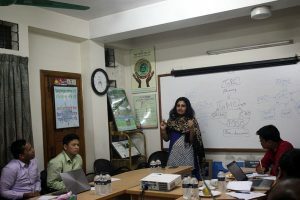 The participated organizations are RMMRU (Refugee and Migratory Movements Research Unit), WARBE Development Foundation, IID (Institute of Informatics and Development), YPSA (Young Power in Social Action) and PROKAS, British Council. The aim of this meeting is to put the FLM partners on the right track to keep a common vision and deliver in a collective approach. 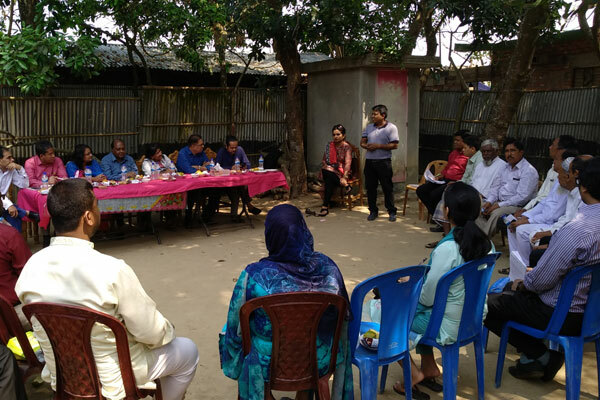 The meeting started followed by a field visit of YPSA-FLM area, Rangunia, Chattogram. FLM Partners arranged a meeting with Grievance Management Committee (GMC) of YPSA at Sharaf Bhat, Rangunia. YPSA-GMC has shared their practices, achievements and challenges to FLM partners in the meeting. 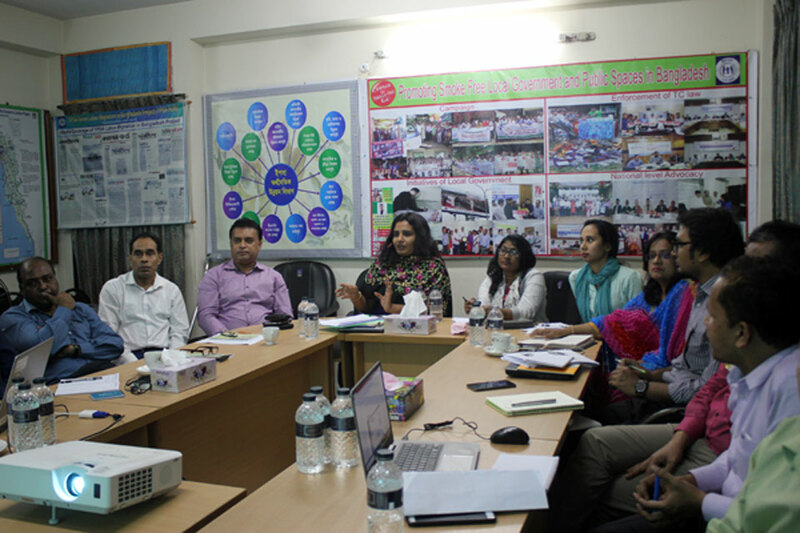 FLM partners individually shared their experiences and practices in regards of GMC. So, this event has opened an opportunity on learning the practices of GMC at different territory of FLM partners. 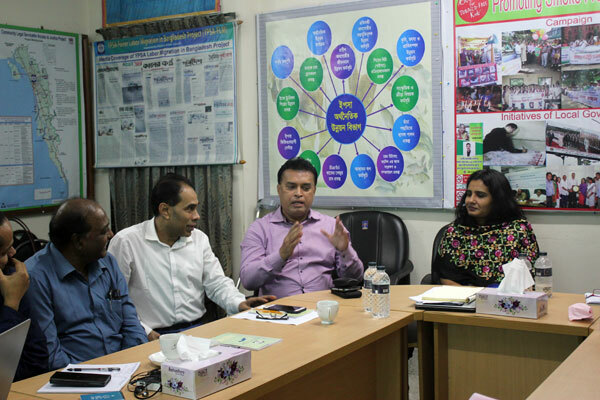 FLM partners also visited the Fair Migration Support Centre (FMSC) in Rangunia Paurashava. YPSA Labour Migration has established a help desk at Union Parshad called FMSC. 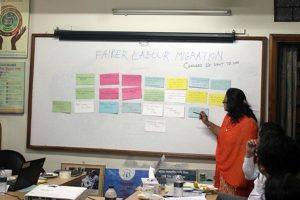 These centers are now disseminating the knowledge of fair migration steps, services of migration organization and receiving oversees related complains. 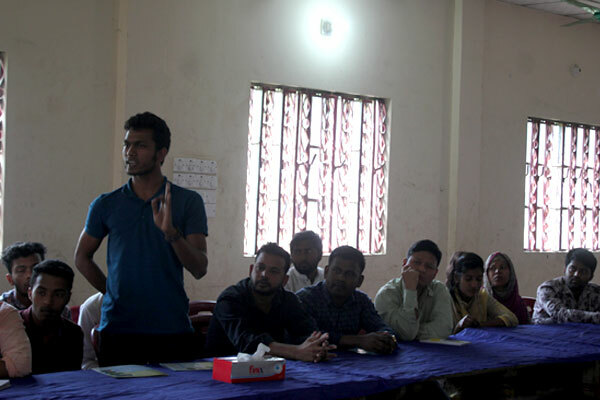 Then the FLM partners has made a discussion meeting with YPSA-Youth Volunteer Groups at Paurashava, Rangunia. 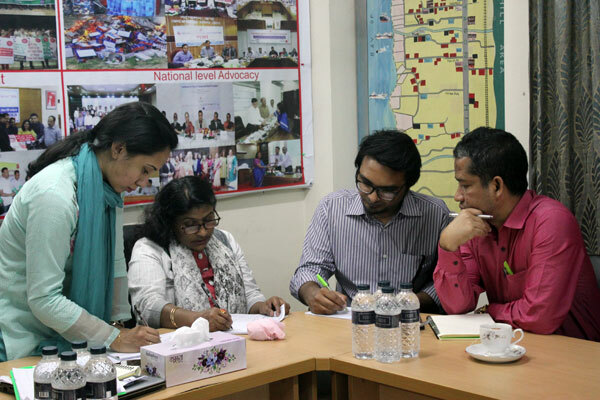 This meeting was interactive and interesting. 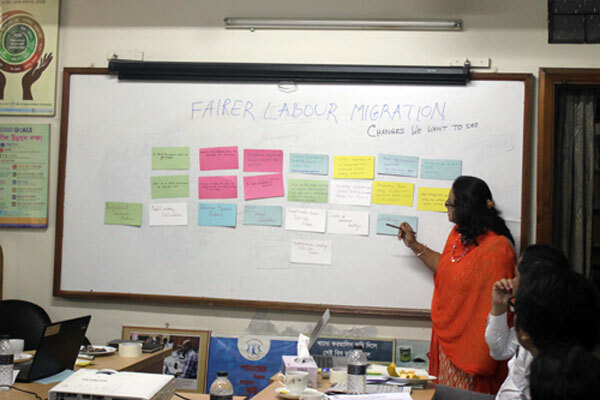 FLM partners were asked what their interests and incentive as working youth volunteer in Labour Migration Project. 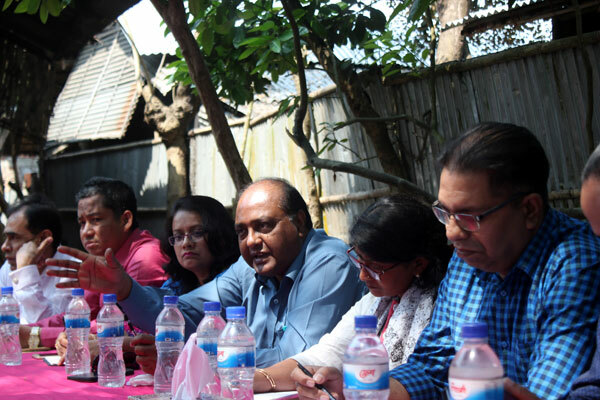 Youth volunteers shared their experiences and felling as a working Youth Volunteer. Finally, FLM partners made interactive interviews with GMC service receivers. The pattern of GMC service receivers are those whose complain are settled or are in under processing. This interview was effective and given some ideas how do make a quality mediation by GMC’s. 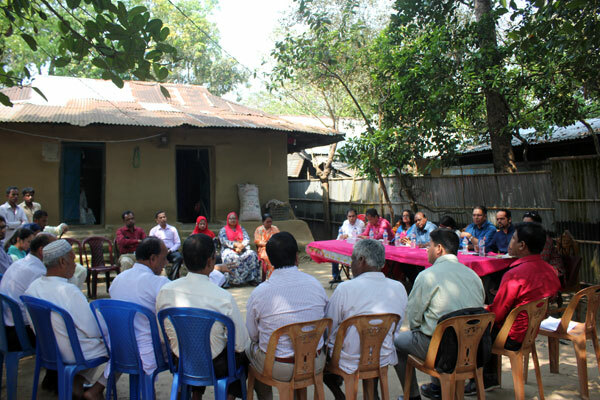 After the daylong visit, an experience sharing meeting on field visit was held on the Client Satisfaction Survey Forms. 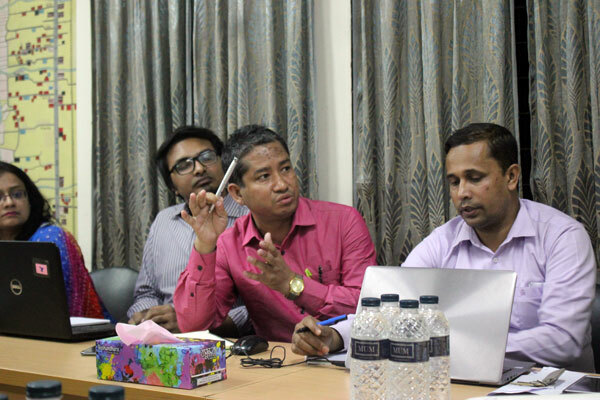 Alike also review and discussed the operation procedure of GESI tools in YPSA Head Office, Chattogram. 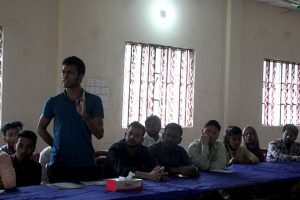 YPSA, Chief Executive was present in this sharing meeting. 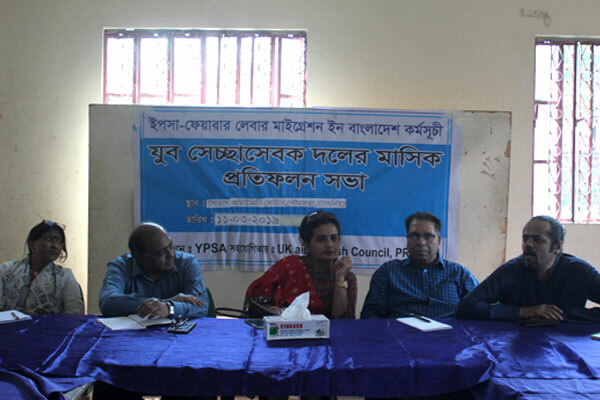 The second day of meeting was held at YPSA Head Office, Chattogram. 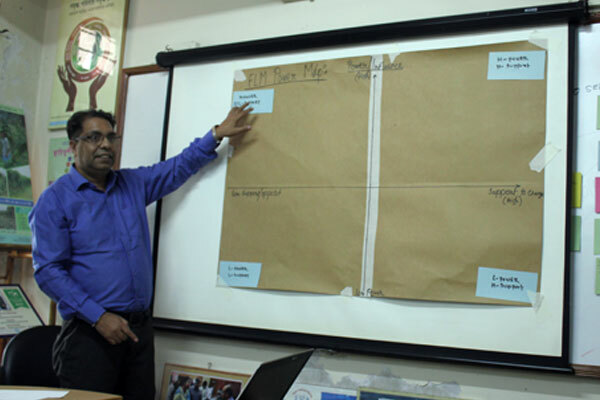 The agenda of the second day were what changes FLM partners want to see within timeline, the achievement of FLM partners, collective approaches of FLM partners, Review the Power Map and finally tracing the progress of partners with FLM outcome menu. 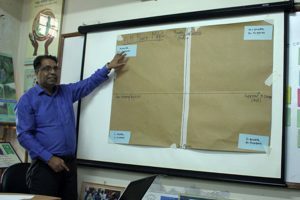 Different approached were applied on engaging participants at different session. This coordination meeting bears a big significances with FLM partners in regards of building a common understanding, program quality and collective progress on meet the FLM outcomes.